Magnificent And Extremely Fine Antique Persian Silk Tabriz Haji Jalili Rug, Country of Origin / Rug Type: Persian Rug, Circa Date: 1880’s – This fine Persian Haji Jalili Tabriz rug was woven silk pile on a silk foundation. 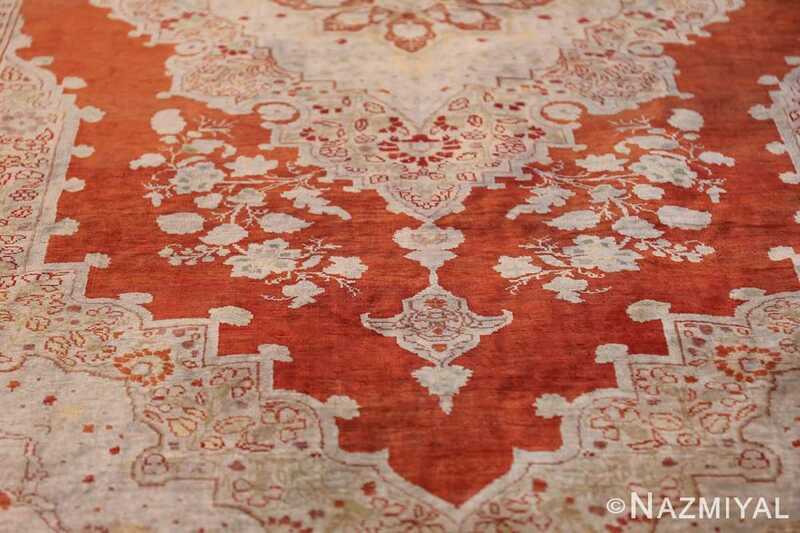 This breathtaking example was woven by the great master rug weavers in the renewed Persian carpet making center of Tabriz. This exquisite antique Persian Haji Jalili Tabriz rug is indicative of the quality and beauty one would expect to see in the best examples of antique Persian carpets. The fact that the Persian rug weavers used silk as the material for both the foundation and pile is how they were able to weave this unusually fine rug. 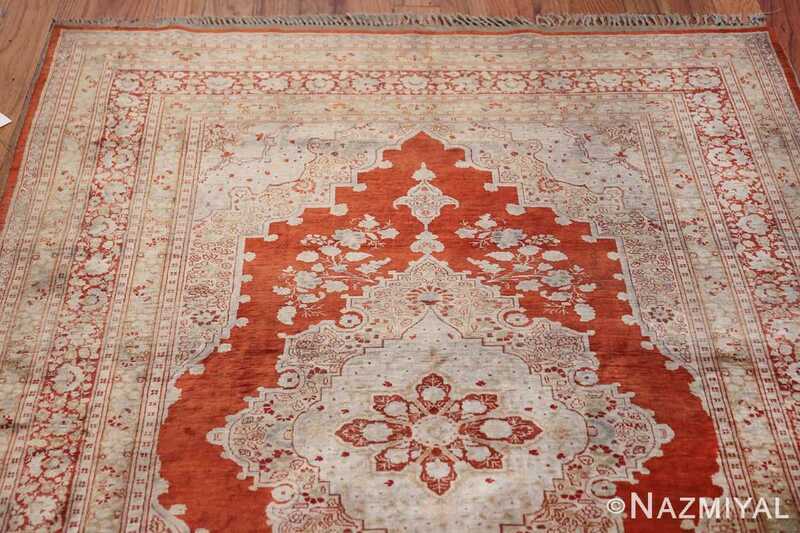 The magnificent use of contrasting colors and the play of negative space vs extremely intricate patterns, gives this antique silk rug an artistic look and feel that is rarely matched. 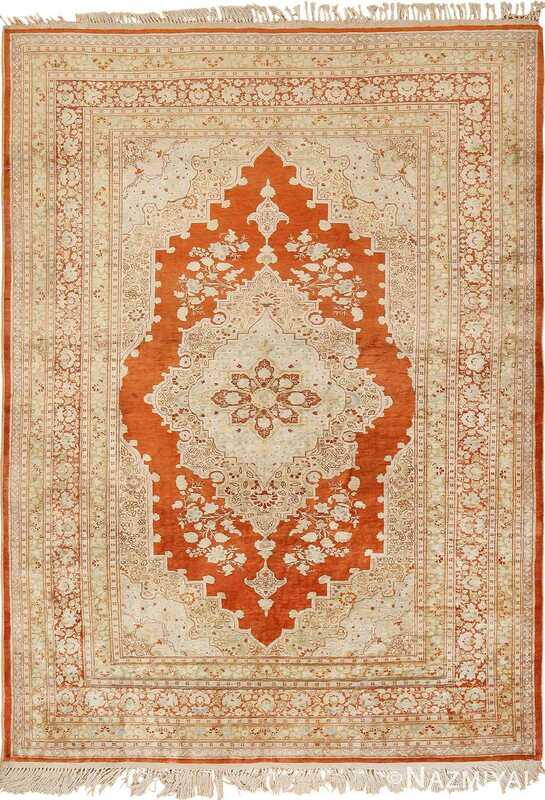 The light neutral colors and fine patterns of the floral medallion rest so peacefully against the solid rust colored background of the field. 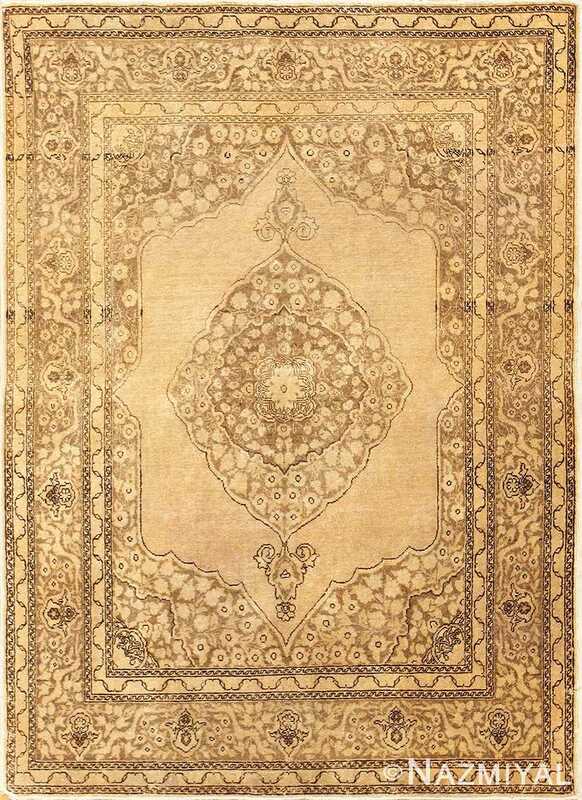 This fascinating juxtaposition creates a quite and soothing feel while the luminosity of the silk ads a happy shimmer that radiates from the rug outwards and a magnificent display of colors and texture. 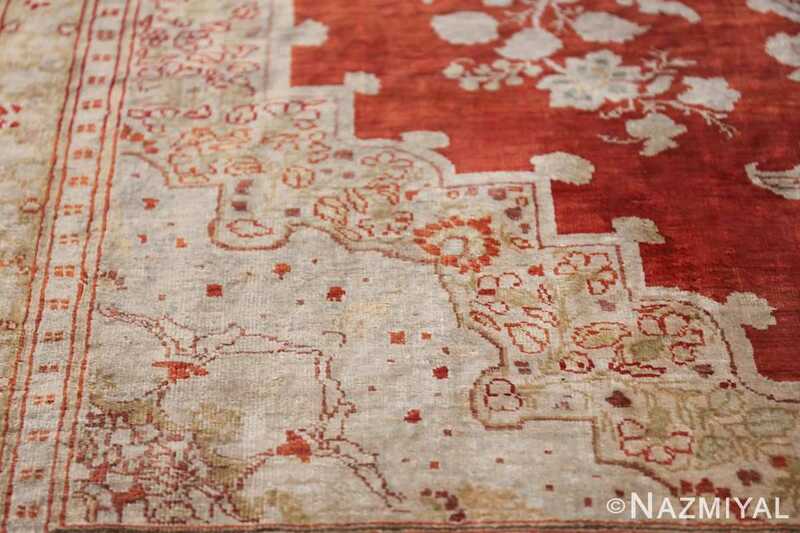 This antique Persian silk Tabriz Haji Jalili rug is a breathtaking example of what the antique rugs aspire to be. 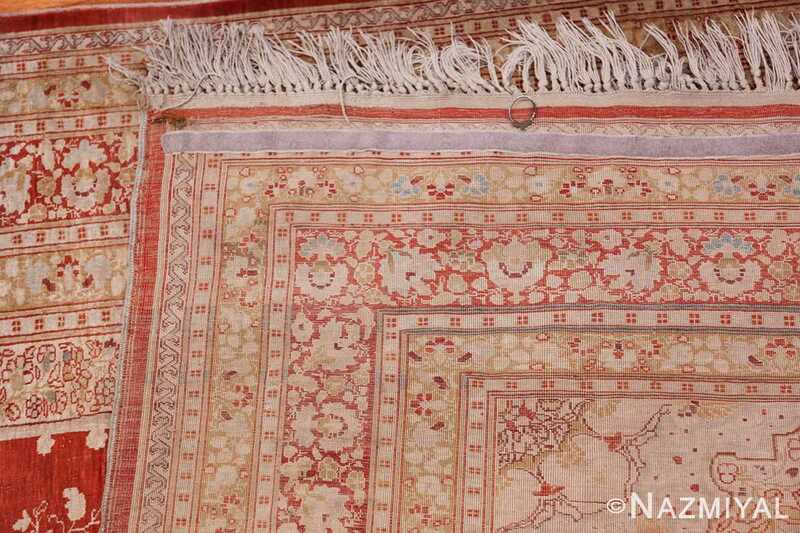 This rug is not just a decorative item, it is a magnificent work of textile arts. 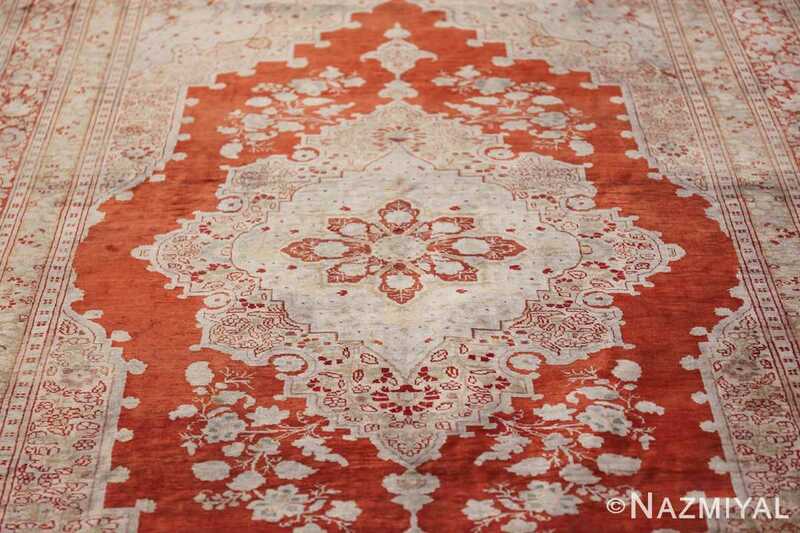 Luxurious rugs such as this are so few and far between. They were usually custom ordered by people who demanded the best and had the financial capability to pay for it. 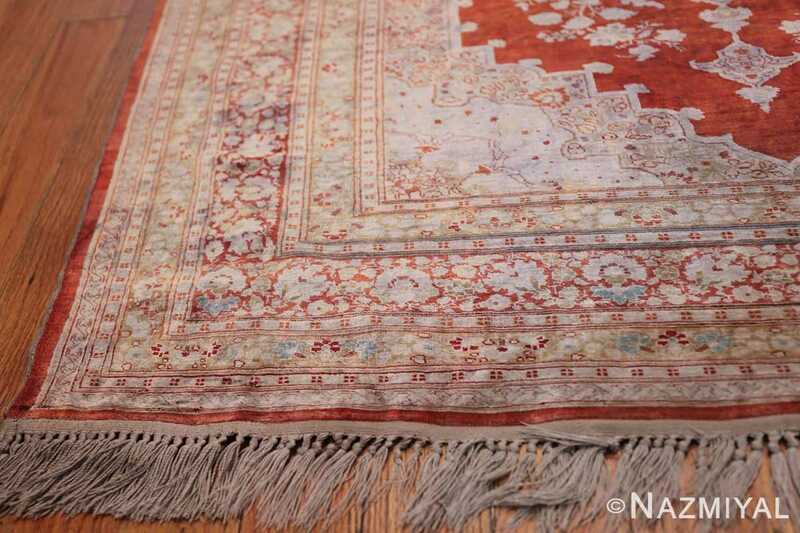 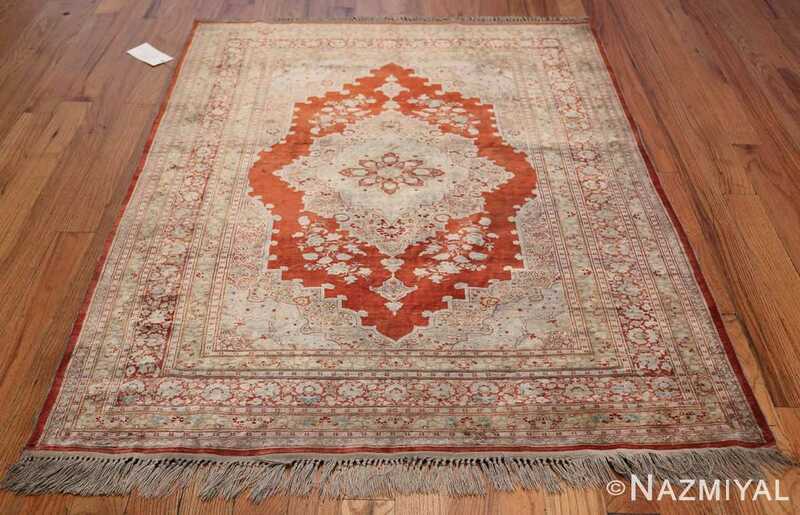 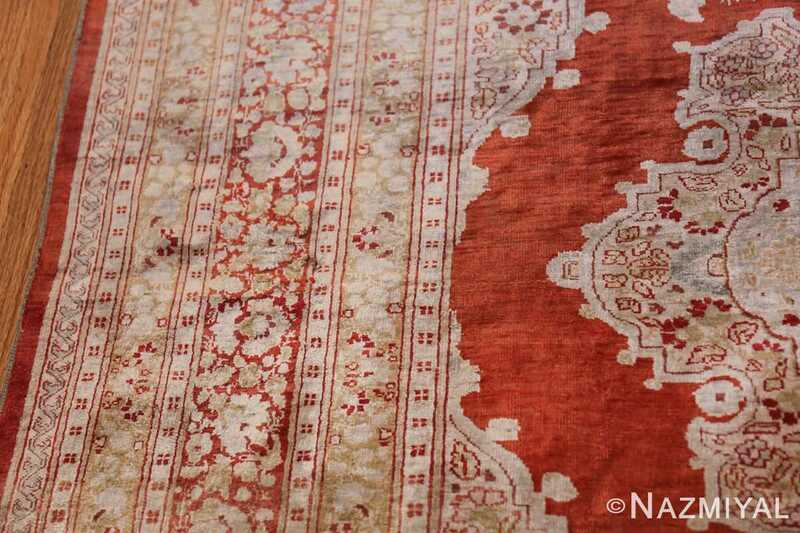 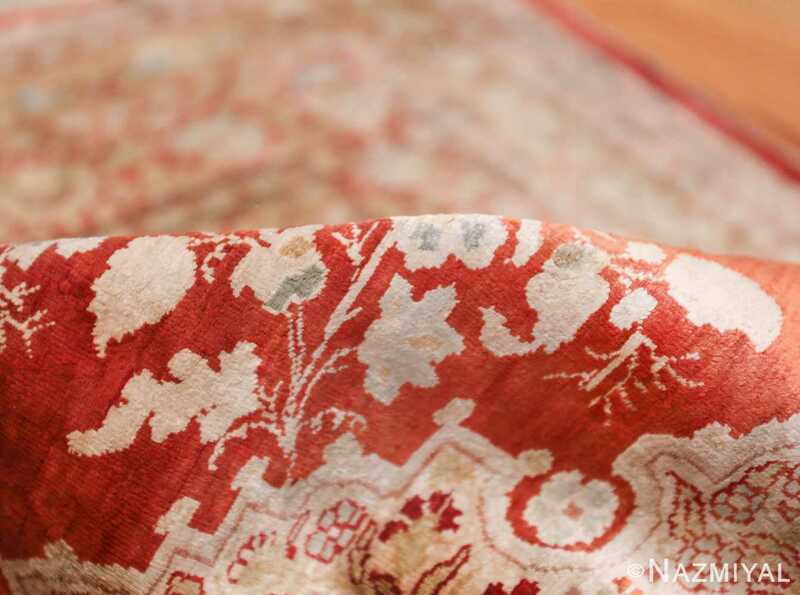 While this antique Persian silk Tabriz Haji Jalili rug was woven to be used on the floor. 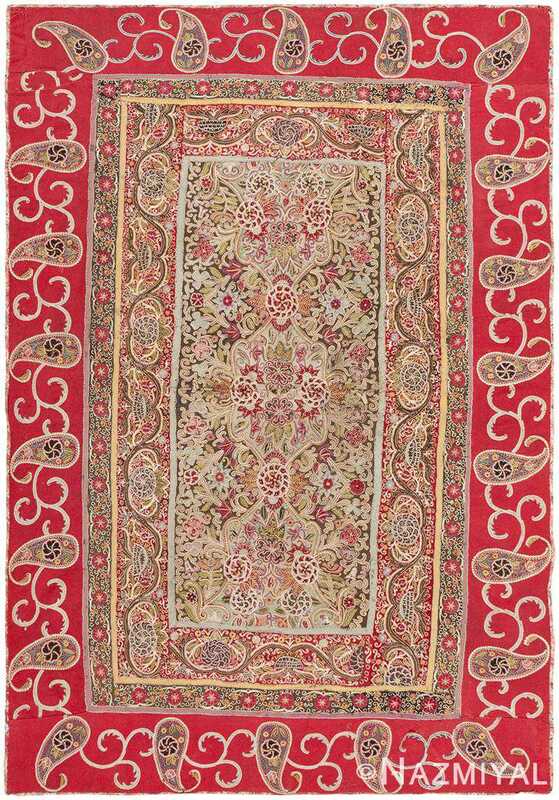 That said, this piece is so spectacular that it could be easily used as an artistic wall hanging Tapestry. 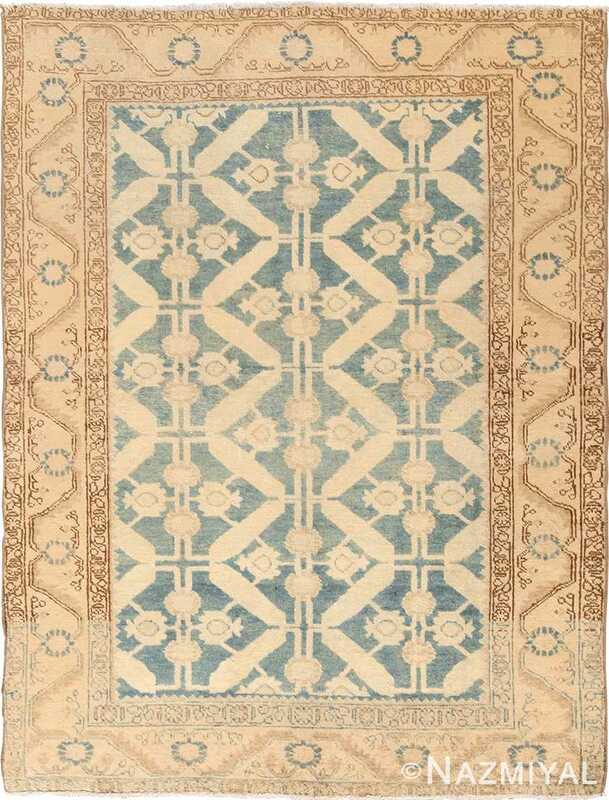 But regardless of how you decide to incorporate this piece in your home and life, it is sure to bestow many years of pure joy and wonderment. 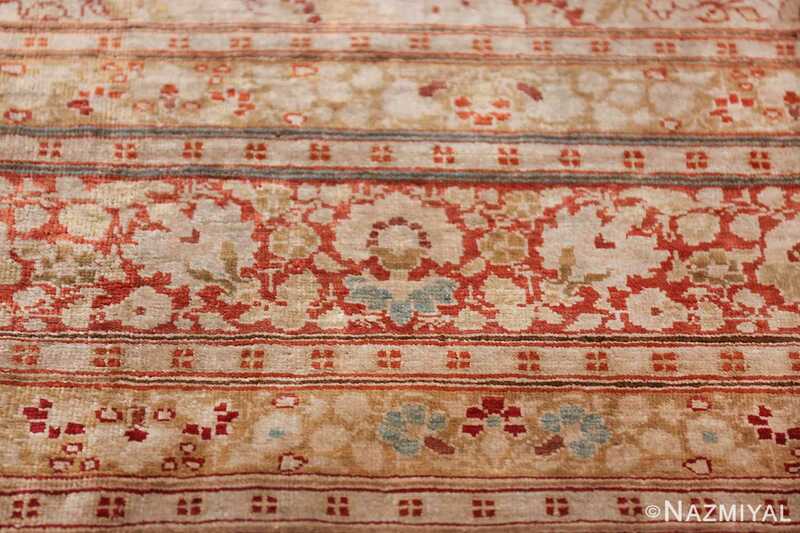 This stunning antique Persian textile depicts a kaleidoscopic arrangement of foliate bouquets surrounded by botanical grotesques and ornamental boteh motifs.